A periodic table discovered at the University of St Andrews is thought to be the oldest in the world. 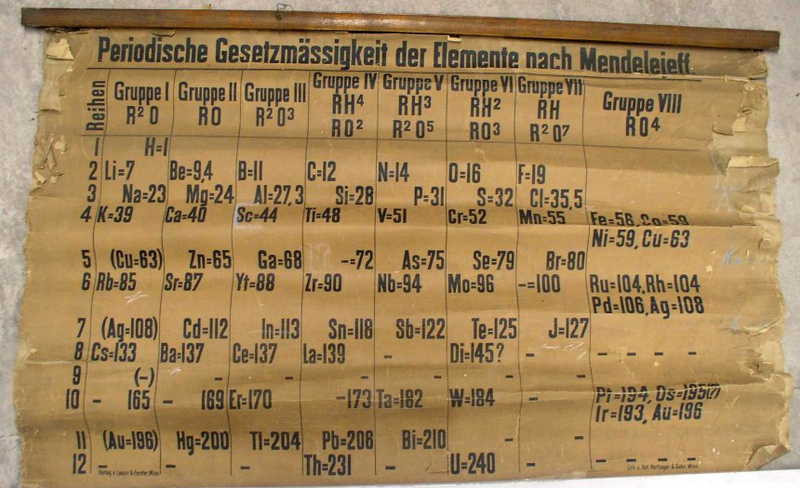 Following Menedleev’s famous discovery of periodicity in the chemical elements in 1869, a number of such periodic tables were created. The St. Andrews periodic table is similar to Mendeleev’s second table from 1871. Periodic Table discovered at St. Andrews University, Scotland (Courtesy St. Andrews University). The United Nations has designated 2019 as the international year of the Periodic Table of chemical elements, recognizing it as an instrument ‘central to linking cultural, economic and political aspects of the global society through a common language’.